In addition to introducing the various contributions to the book, this chapter also discusses some of the core themes informing the book. 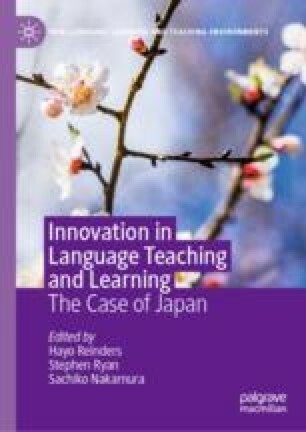 The chapter provides a platform for the subsequent contributions to the book by establishing what is meant by the term ‘innovation’ and highlighting why innovation is so important for effective educational practice. In contrast to much of the literature relating to English education in Japan, the chapter adopts an optimistic, positive outlook, arguing that the various contributions to the book indicate an active, energetic environment. The chapter concludes that this openness to innovation and dialogue is likely to inspire future innovative practice.